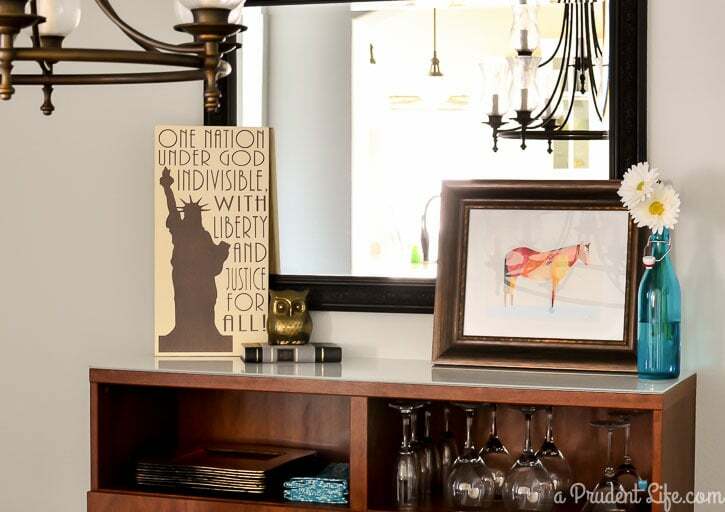 I have joined up with more than 30 AMAZING bloggers to tackle the challenge of creating a patriotic project or recipe without using the traditional red, white and blue color scheme! How fun is that?! For my project, I started off with a brainstorm of things that were distinctly American. 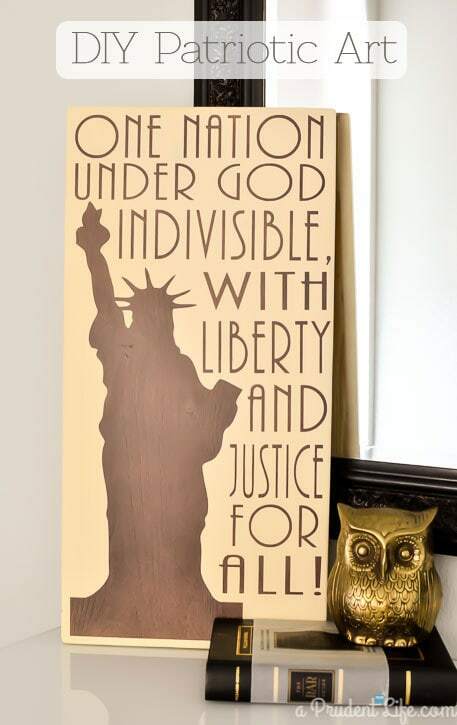 One of my favorites is the Statue of Liberty, so I picked her for this challenge. 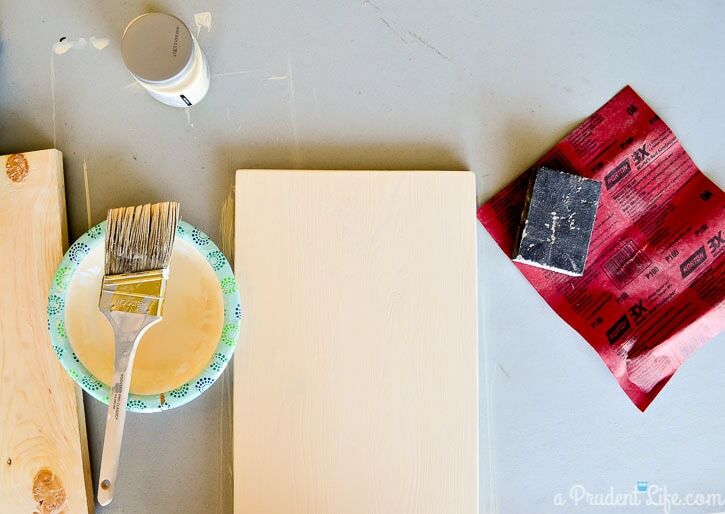 I started off with a 10″ x 20″ board that I had the hardware store cut for me. If you just need a couple cuts, sometimes it is faster to have them do it than to drag out the tools! I hand sanded the edges to round them off, then added a few coats of watered down cream paint. My goal was to make sure the wood grain was still visible. 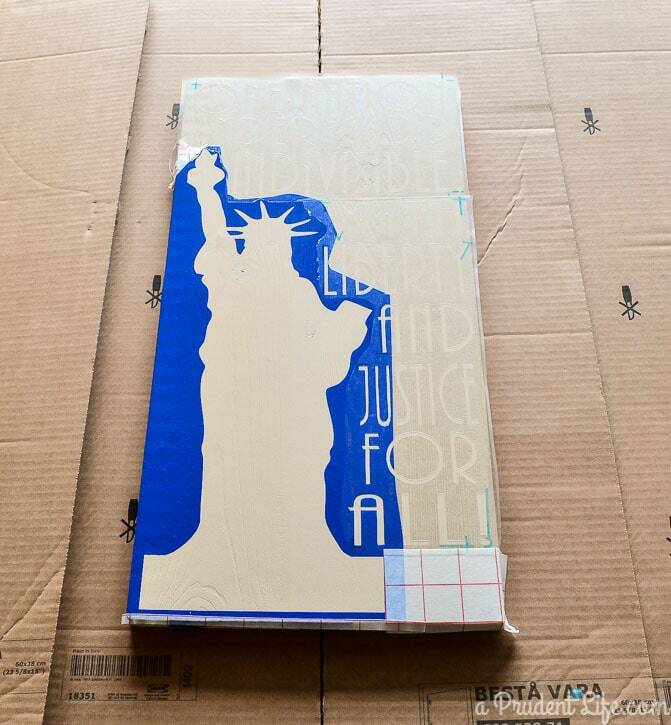 Next, I downloaded a Statue of Liberty image from the Silhouette store to use as a stencil. Once I had my image, my brilliant husband suggested that I add words or a quote to the background. I played with a design in the Silhouette software and figured how to make the ending of the Pledge of Allegiance wrap around Lady Liberty! The font I used was AR Bonnie – the same one I used for my libations party bucket! This project was the first time I’ve ever truly needed the larger Cameo model cutter instead of my Portrait. Because the Portrait can’t cut 10″ wide, we had to piece the vinyl stencil together. It still worked, but took a LOT longer than it could have. 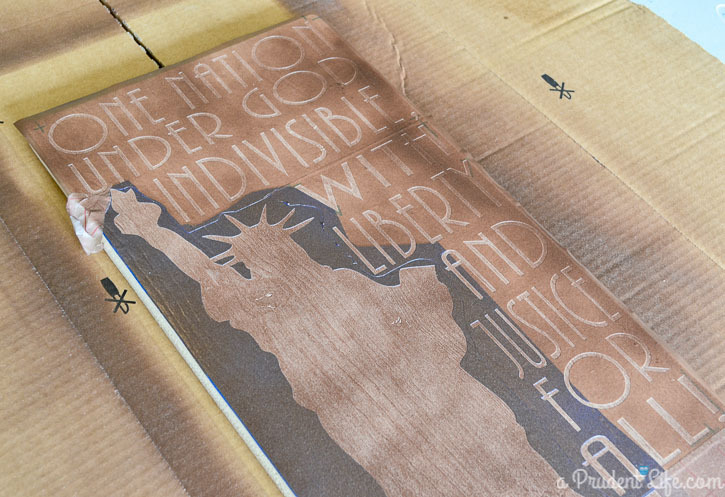 Once the stencil was secure, I used RUST-OLEUM Universal Metallic spray paint in Flat Burnished Amber. To make sure all my lines stayed really crisp I did several VERY light coats. The trigger on the RUST-OLEUM Universal line makes it so easy to get even coverage in light coats. Once I got the coverage level I wanted, it was time to peel up the stencil. I only waited a few minutes after my last coat. I was so relieved the borders were so clean! No touch ups needed! I couldn’t be happier with the way this project turned out. And it just happens to look awesome in my new slightly mod dining room! When I signed up for this NO red, white, or blue hop, I was pretty nervous. But now I am glad I accepted the challenge! It was a ton of fun and now I’ve got a piece of patriotic art that I could even leave displayed all year round. Melissa, I just adore this project. Pinning and sharing! Thanks so much for participating! Thank you Tasha! It was such a fun idea you had. Thanks for coordinating! Melissa, this is beautiful! The colors are so great, but I love that they are neutral enough to keep it out year-round. Your lines are super crisp! I never would have thought to use spray paint to get them like that. Awesome job Melissa. I love the colors! I love how this turned out! This was such a fun challenge to be a part of! Nice project! Thanks Lindsay! I agree that this was an awesome challenge to be a part of! What a lovely project Melissa!! Super impressed with how clean the lines were when you went to peel everything off! I really love how this challenge helped us really create year-round pieces!! Thank you Trisha! I was hoping for crisp lines, but have to admit I was impressed with how crisp they actually came out as well! That is so cute! I normally go way overboard on the red, white and blue thing, but this is a great idea! Thank you Pam! I never would have thought of it without the hop. It’s so nice when other people inspire you outside your comfort zone! A Silhouette is definitely on my wish list – this looks amazing! Pinned! I LOVE that you’ve used and given a list of projects that are more neutral!!!! LOVE LOVE LOVE! That is great! 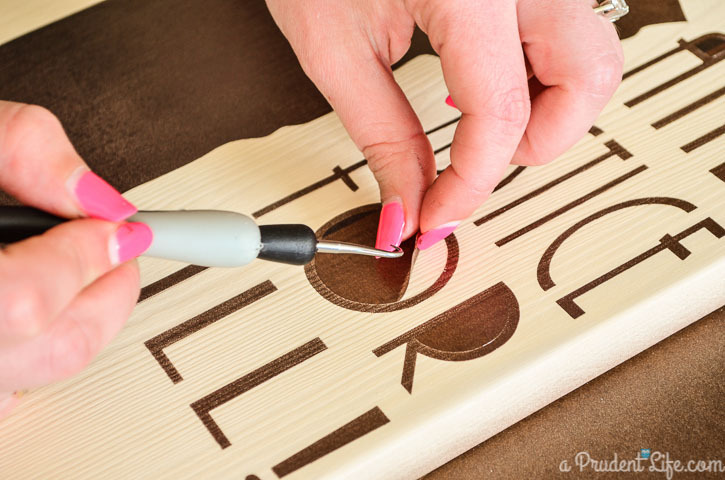 I have cricut, so this inspired me to use it to cut stencils for projects. I can’t wait to try…thanks for the good idea. Thank you Leslie! 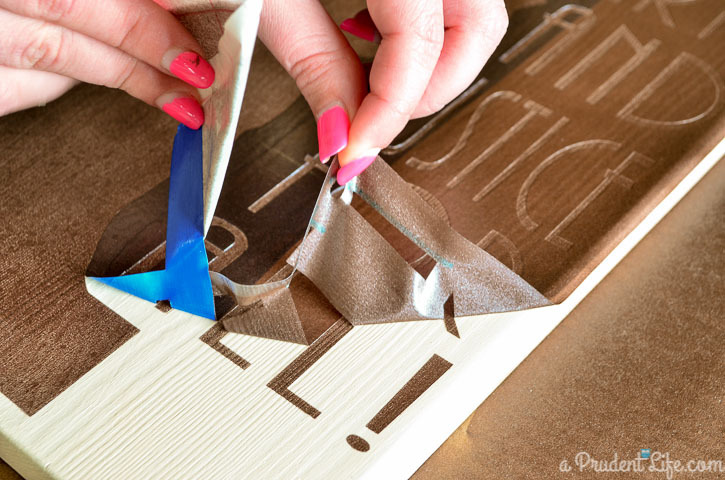 Definitely try some dollar store contact paper instead of buying stencil paper. It worked perfectly!